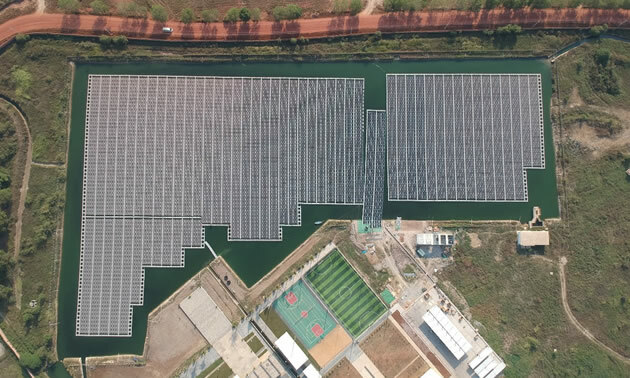 A 2.8 MWp floating solar plant has been completed with resounding success on the reservoir on-site of an advanced cement plant, Chip Mong Insee Cement (CMIC), in Cambodia. 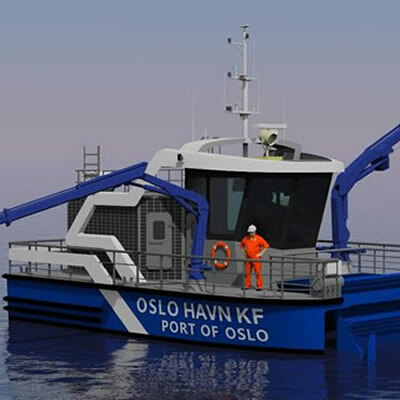 The clean energy generated from the floating system will be fully for Chip Mong Insee Cement self-consumption purpose. 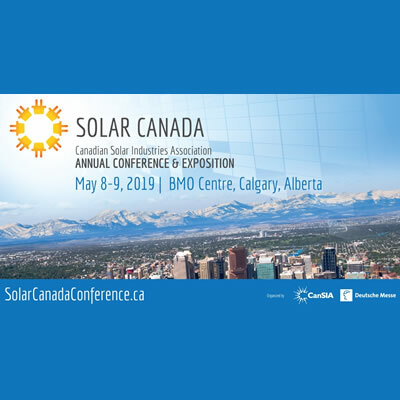 This solar array is assembled and installed using the tried-and-tested innovative Hydrelio® technology created, patented and matured by Ciel & Terre® company, who also designed and supervised the installation of the anchorage. This project is financed and developed by Cleantech Solar, the leading provider of renewable energy to corporations in Asia, in collaboration with MEP EPC partner, Comin Asia. 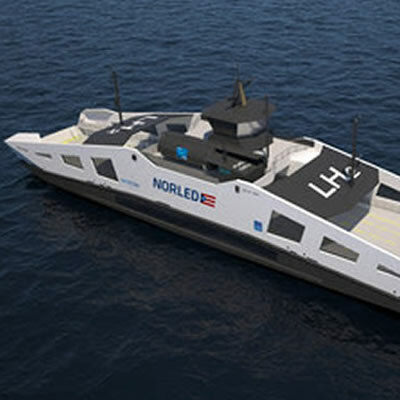 The project proves once again that floating solar can now be more affordable than the grid rates. The floating solar farm installed in Cambodia (2.8 MWp) is a world-premiere for several reasons. It is the first to be built out of a new type of float, the Hydrelio® Equato, and the first with a 4-in-a-row setup. Further, this installation is also the first of its kind worldwide to have the Hydrelio® solution implemented at a cement plant. As an investor, Cleantech Solar pays rigorous attention to optimizing the long-term performance of the systems to maximise the bankability of the project and offtaker’s energy cost savings. Hydrelio® by Ciel & Terre® was a fitting choice to their needs. The project has also enabled the setting up of manufacturing unit for the Hydrelio® floating system in Thailand, creating new job opportunities and skills development for the locals. The proximity of the manufacturing plant to the installation site significantly cuts down the transportation time and cost, resulting in improved efficiency to the whole project cycle. The essential benefit of the Chip Mong Insee Cement floating PV plant is that it optimizes available space. Adding to the 7 MWp solar PV system across multiple rooftops of Chip Mong Insee Cement Cambodia facility, Ciel & Terre®’s floating patented Hydrelio® system further expanded the PV system capacity by utilising the otherwise unused surface of the Chip Mong Insee Cement reservoir. The floating solution has helped preserve land while producing more green energy for Chip Mong Insee Cement’s own consumption. It is expected that the floating PV system will significantly reduce water evaporation, thus helping Chip Mong Insee Cement on its strong commitment towards water conservation. The total capacity of the installation now reaches 9.8 MWp. It is expected to produce 297 GWh of solar electricity across the system’s lifetime, avoiding about 197,000 tonnes of CO2 emissions. The anchoring solution was realized by Ciel & Terre®. 49 anchors were installed on hardly accessible banks via specific tools designed by the company itself. “This project opens great opportunities,” explains Harold Meurisse representative director of Ciel & Terre ASEAN and Oceania. “It is the confirmation that there is a huge market worldwide for Ciel & Terre® group, where the self-consumption model offers high potential, as shows this world-premiere proposition behind the meter.” According to the director, a direct lesson is that floating solar turns out to be more competitive compared to the national grid, even for limited capacity. Watch a video about the Flagship Hydrelio® Floating Solar Plant in Cambodia. Established in 2006 as a specialist in the integration of photovoltaic systems, Ciel & Terre® has been fully devoted to floating solar PV since 2011, developing the first patented, and industrialized water-based PV concept: HYDRELIO®. The company was awarded Intersolar Prize 2017 for its innovative technology. In response to land use conflicts, this solution consists of installing PV modules on inland and artificial water bodies to produce energy in a more efficient way. The floating PV group’s activity is fully-integrated, including technical innovation, manufacturing, project development, design, as well as system O&M, financing solutions and consulting activities. So far, the track-record of the company reaches 300 MWp.